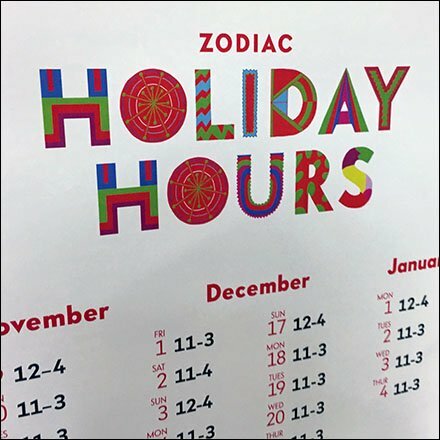 This festive announcement of Zodiac Cafe Holiday Hours At Neiman Marcus was a colorful, high visibility announcement directly at the entry. It was so playful and fun that even I would make a mental note that I could and would be served almost any day during he Holiday. These Zodiac Cafe Holiday Hours At Neiman Marcus seen at the King of Prussia Mall.